Pop on over to the Scrapbooker's Paradise blog for the complete how-to! Thanks so much for stopping by & happy crafting. 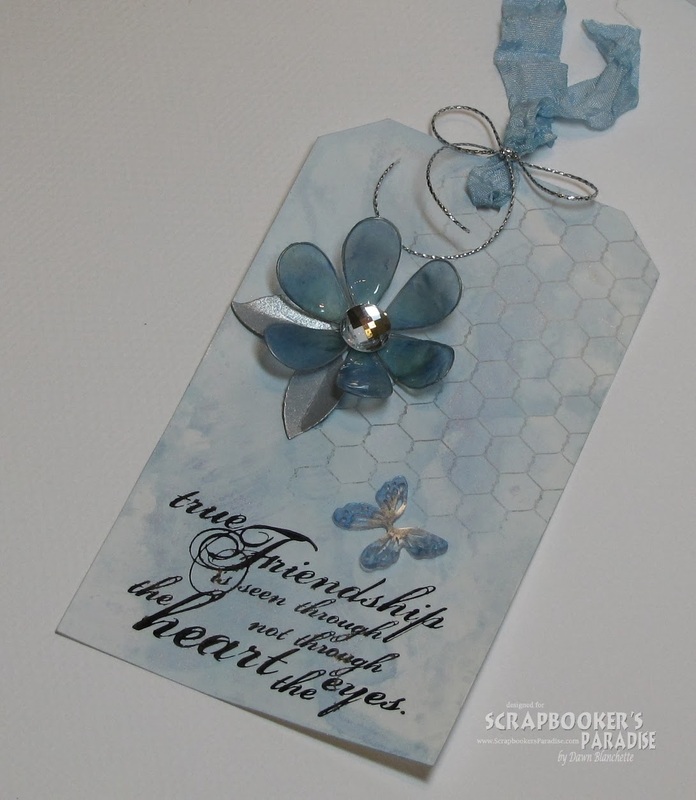 This is stunning Dawn, I love the delicate shades of blue, gorgeous flower and beautiful sentiment. Beautiful tutorial work Dawn. So many great things to do with this one. Thanks, Keep smiling and creating. I love this tag - absolutely gorgeous in all that blue!